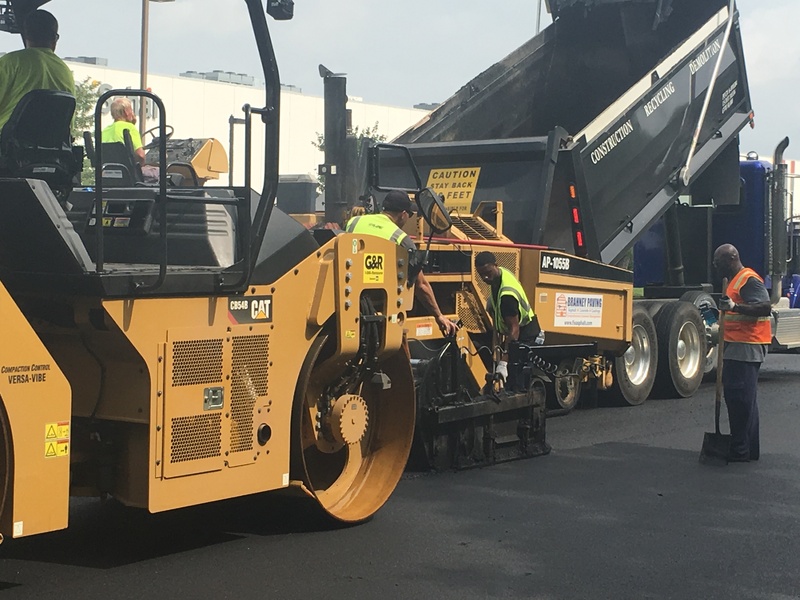 How much does it cost to sealcoat an asphalt parking lot? 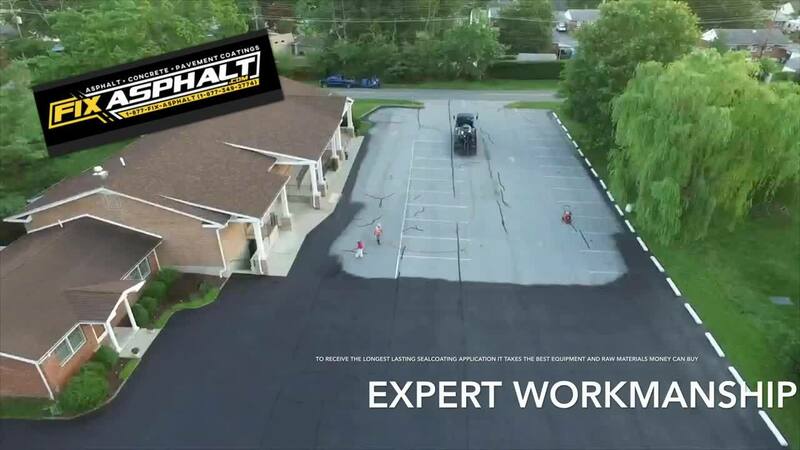 The average sealcoating cost for an asphalt parking lot with either asphalt or coal tar emulsion pavement sealer ranges from $0.14 - $0.25 per square foot. WHAT FACTORS AFFECT THE SEALCOATING PRICE PER SQUARE FOOT? Layout Of The Parking Lot: Wide open square asphalt parking lots and interior roadways without a lot of landscape islands, turns and other chopped up areas. When pavement sealer can be applied with a distributor truck spray bar making a 10’ pass at a time versus a hand held spray wand applying sealer in a 3’ pass at a time. Size Of The Asphalt Parking Lot To Be Sealcoated: With all things being equal (Clean Parking Lot, 10 miles from office etc) theoretically it takes the same amount of time for a 4 person sealcoating crew to sealcoat a 15,000 sq ft open Burger King parking lot working in sections that is does to sealcoat a 60,000 sq ft closed office building parking lot on a Saturday. Is hiring a professional sealcoating contractor worth it? Use professional equipment built by leading industry manufacturers such as Neal Manufacturing,which fabricates equipment which is capable of applying a thick pavement coating with silica sand and rubberized latex mixed for the longest lasting application (Not 55 gallon drums, 5 gallon pails or square plastic totes with a trash pump system which CANNOT PROPERLY MIX THE SEALER OR APPLY A SEALER MIXED WITH SAND AND LATEX. Surprisingly, some pavement sealer manufacturers sell and or encourage the use of these type of setups knowing full well they cannot apply their own manufactured pavement sealer to even their most minimal mix designs or application rates. The sealcoating contractor can employ low-cost labor found at day labor organization locations (Keep in mind, if a person working on your property gets injured and is not covered by workman’s compensation insurance- YOU MAY BE HELD LIABLE FOR ALL THEIR MEDICAL EXPENSES! We can provide a comprehensive sealcoating, crack sealing & line striping estimate within 48 hrs for commercial properties to include: property managers, shopping centers, office buildings, corporate campus’s, industrial parks, self-storage facilities, trucking facilities, healthcare facilities, retirement communities, places of worship, homeowners associations, apartments, hospitality, funeral homes, etc. Helping Property & Facility Managers in New Jersey, Pennsylvania, Delaware & Maryland With Their Immediate Asphalt & Concrete Needs!